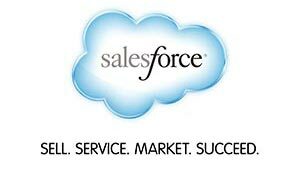 Salesforce has long been recognised as a leading on-demand CRM solution to manage customer relationships. Bringing low cost, full-feature CRM capability to small and medium sized businesses, it has helped to transform the business landscape by allowing SMBs to compete with much larger organisations without the need for large scale IT investment. Virtualtone for Salesforce adds the extra dimension needed for total customer interaction, seamlessly integrating telephony with Salesforce Professional, Enterprise or Unlimited to deliver advanced call features such as on-screen call control, screen pops and activity logging. 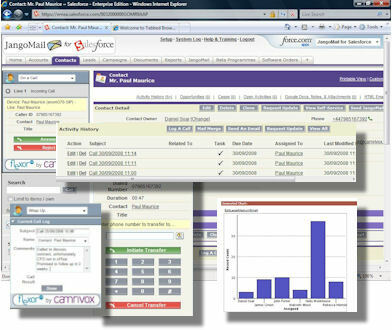 By capturing all call activity directly into customer records, Virtualtone not only helps businesses to better track customer contact, but also enables management reports set up in Salesforce to highlight group call performance, and maximize inbound, outbound and call time efficiency.